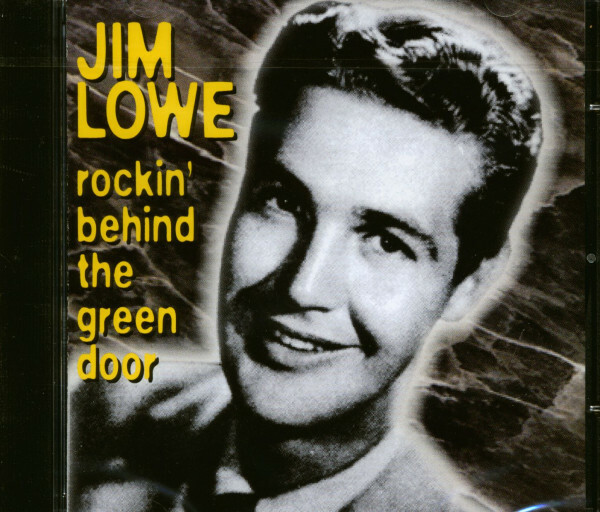 Jim Lowe was a singer, songwriter and radio personality. In 1953, he wrote and recorded Gambler's Guitar, and also spun discs and talked on Chicago's WMAQ radio station. In 1956 he moved to New York, started working at WCBS, and recorded the #1 hit, Green Door. Between those landmarks, in 1955 he covered Chuck Berry's Maybellene in the same month that Chuck's original entered the 'Billboard' charts. Maybellene was an important record in the history of rock 'n' roll. Chuck Berry created the first Top 10 rock 'n' roll hit to have guitar-bass-drum instrumentation (with the addition of maracas and an occasionally audible piano), the sort of lineup that would soon come to dominate popular music. Jim Lowe's record repeats that instrumental mix, but adds a very jazzy saxophone solo. The lead guitarist begins and ends the record echoing Chuck's guitar work, making car horn noises. But throughout the vocal, he freely throws in jazz runs, rock 'n' roll rhythmic accents, and other sorts of fills. It sounds like he's ad libbing rather than following a plan. Although the drum and bass are rock steady, Jim Lowe's vocal is not steadfastly tied to the beat - he allows his phrasing to be as free as the guitar work. The result is an enjoyable jazzy cover of what had been a wonderful rock 'n' roll original. 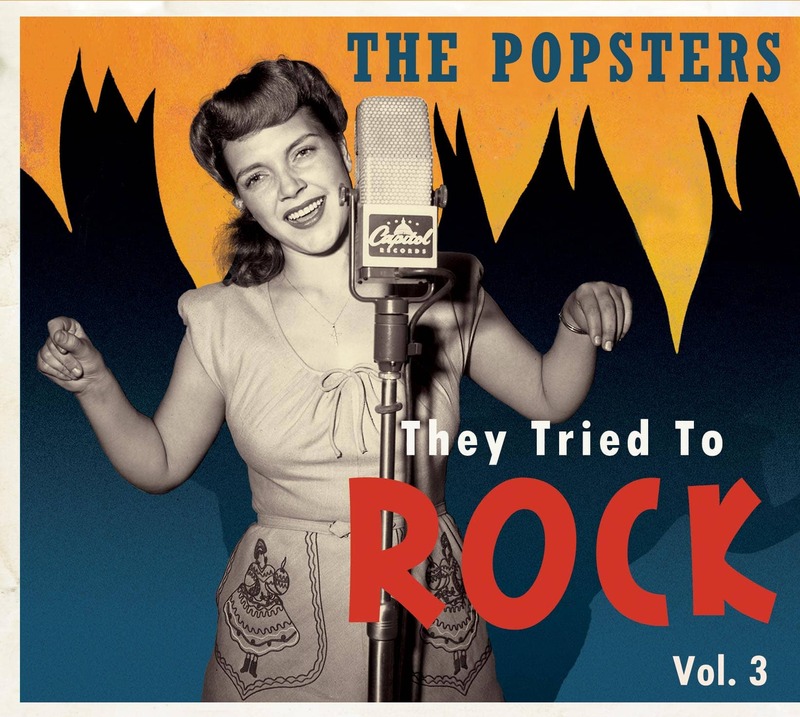 Jim Lowe's cover of Blue Suede Shoes appears on Volume 4 of this collection. 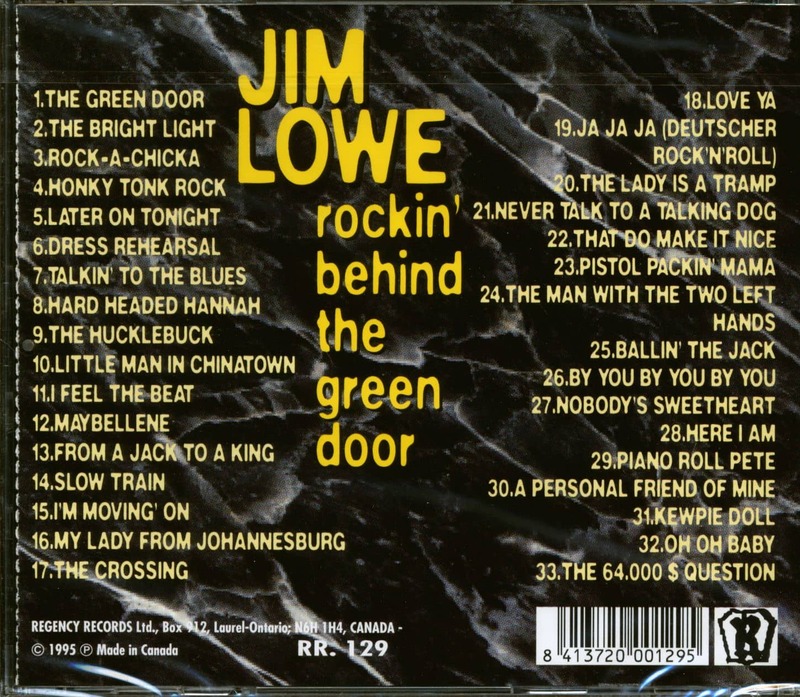 Kundenbewertungen für "Rockin' Behind The Green Door (CD)"